When your travels involve moving every day (or nearly every day), unpacking and repacking can become a time-consuming grind. 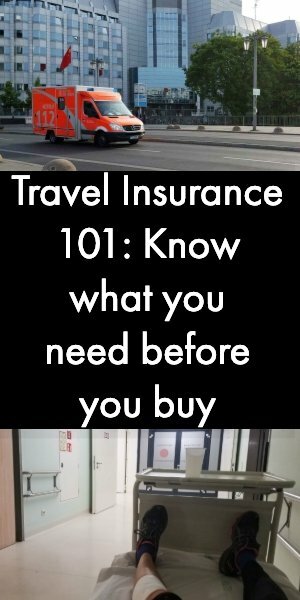 Unless you have figured out key survival tips for daily packing and unpacking on tours. 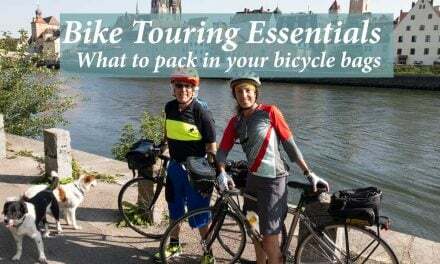 Be it for a bike tour, or perhaps for hiking, running, paddling or even just bus tours, getting in and out of your suitcase for frequent moves for what you need and then gather it all back up again to move along could make you cross such tours off your list. These survival tips from a few who have done this often on bike tours or other travels can save your nerves – and keep you coming back. HITT Tip: When you pack light, your suitcase should also have a little leeway in space. That way you won’t be jamming things in each day but have a little flexibility in where things go inside. HITT Tip: The suitcase you choose will depend a lot on your style. 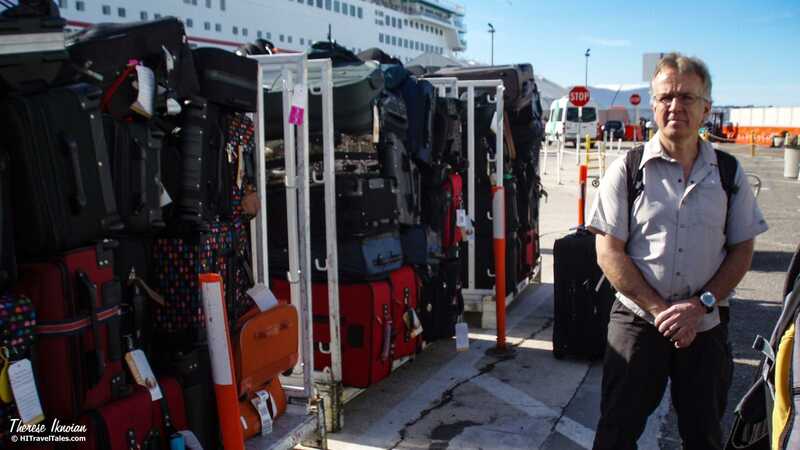 Read more in our story, “The best travel luggage: Know what to look for before you buy.” We have always preferred softer ones since they allow flexibility in packing and quantify and can be compressed smaller with straps, but still allowed to grow too. One traveler told us she prefers a book-style suitcase with two sides to it; she keeps her clothes for the day’s activities – biking in her case – on one side, and her “city clothes” on the other. You may also prefer to stick to carry-on only, or use some of the great travel packs available today. Planning for frequent moves –This is where rolled clothing and cubes are so handy, so you can easily put, for example, bike clothes in one cube, underwear in another, and perhaps some regular street items in another. You can use a smaller one for odds n’ ends (sunglasses, gels, eyeglass keepers,…whatever is small). Then you can just pull what you need, which mussing the rest. Methods for rolling clothing include all tops in one roll and bottoms in another, perhaps outfits rolled together, or maybe cooler-weather clothing in one roll and warm-weather items in another. You choose what you need based on your tour, your activity and your personal preference. 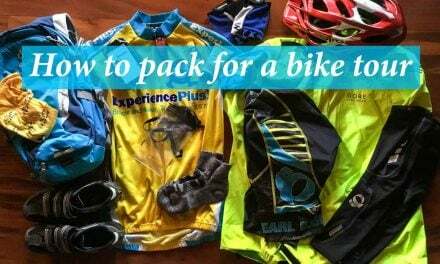 HITT Tip: One frequent traveler and bike tour participant told us he likes to PRE-organize for the next day. That means each evening he puts his chosen “city clothes” for the next day and his toiletries as well as electronics or chargers in his daypack/carry-on bag. Then all he has to do is get into that one smaller bag – “no shoveling about,” as he calls it. That does of course require a little extra repacking each evening or morning, but may be an idea for some travelers. Do not fully unpack – Last thing you want with frequent moves is to spread your stuff all over the room every night, only to have to scramble to gather it up in the morning. A packing and unpacking routine is king for frequent moves on tours. Maintain your own little area or two in a room and ONLY keep things there. 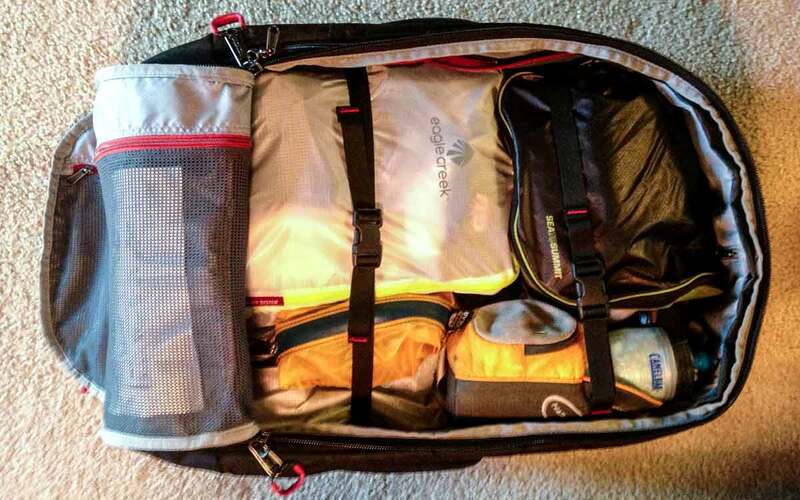 Organized luggage with packing cubes, hanging toiletry bag, and still room. Makes it much easier to manage pulling things in and out of your luggage on a daily tour where changing hotels is the routine. Use a hanging everything-in-one-place toiletry kit – Pull it out, unfurl, and hang at your destination, and “you’re ready to go,” as another traveler told us. Everything is there. In the morning, close it up and into the suitcase it goes. You certainly do not want bottles and baggies all over a bathroom counter if you are moving frequently on tours. 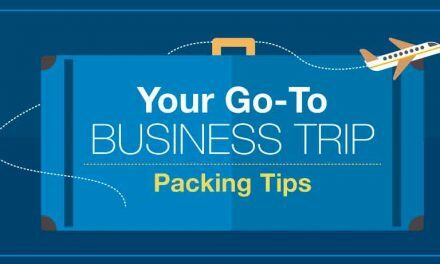 HITT Tip: Do take a look at some of our other stories on packing, go to our Packing section. For other advice on everything for security to health to insurance, take a look at our Advice section too. Keep separate piles – For things you will need to carry along with you during the day in a daypack, on a bike or in another tote, try to keep separate areas or stacks in your room. 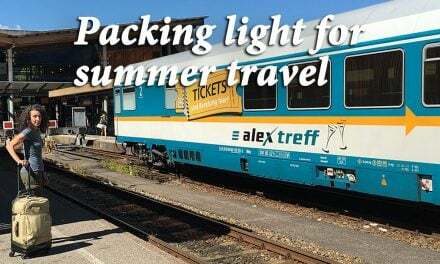 Then, when you are ready to leave the next morning for your day’s adventures, you do not have to go digging and searching for those items of daily need – for example, your smartphone, a snack, some sunscreen, an extra jacket, etc. Routines, memory aids, lists, and bright colors – To ensure in your morning hurry you still don’t forget a toiletry kit, something that mistakenly rolled under a cabinet or bed, or your charging cable still plugged into the wall, you need a daily routine. Work together. We travel often as a duo so BOTH of us do a “room sweep,” as we call it, prior to leaving a hotel room – closet doors are opened, we crouch and look under the bed, bathroom is scanned, night tables glanced at. Two sets of eyes are better than one. Make lists. If you fear forgetting things and there are typical things left in forgettable places, make a little list – even laminate it before your departure from home for the tour – and put it on the floor by the door. No way you can walk over it and leave without seeing it. I have done this for snacks or a bottle I have put in a room mini-bar, for example. Use brightly colored ties. I have an inflatable neck support travel pillow that I have secured with a bright orange tie. I put this tie on my suitcase’s zipper pull so there is no way I can close the zipper without remembering the pillow in the tousled bed. HITT Tip: Despite your best laid plans, with all the packing and unpacking of your luggage, things do get forgotten, lost, left behind. Remember you are on vacation. Don’t lose the joy of the day over it! If you are with a tour operator, staff can help you get in touch with the hotel. Otherwise, you can. If what is missing can be found, it can be sent ahead to the next stop. Barring that, unless you are in a wildly remote place, you most likely will be able to buy a replacement item at the next town, bus stop, train station, or whenever and wherever you pull in for the evening. HI Travel Tales would like to specifically thank a few contributors for graciously sharing their tips, including Deena Behnke, Jeffrey Berger and Jonathan Lueker. All are travel veterans on both Experience Plus bike tours and other organized adventure trips.